Ducati is auctioning off 13 Panigale V4 S bikes which were used in the Race of Champions last weekend at the World Ducati Week. All 13 Ducati Panigale V4 S superbikes are being auctioned on eBay and the bids are open till July 28. The bikes were raced by Ducati's star riders at the World Ducati Week, the biennial event at the Misano World Circuit. Riders from Ducati's MotoGP and WSBK teams, as well as Ducati icon and Australian championship rider Troy Bayliss participated in the Race of Champions, which was won by Ducati test rider Michele Pirro. Each of the 13 bikes have the rider's race livery and is individually signed by the rider. So far, the bike used by Troy Bayliss is attracting the maximum number of bids and has already crossed 1,20,000 Euros. The prices of the other twelve bikes that Ducati has put on sale remain more or less same unchanged. Bids for the bike used by Andrea Dovizioso stopped at 45,100 Euros, while the one used by Jorge Lorenzo has garnered 41,500 Euros. The auction will end on Saturday, July 28, so it's quite likely that the price offered for Bayliss' superbike will go up further. Troy Bayliss has won the Superbike World Championship three times, and a MotoGP race, all with Ducati. He won the 2008 World Superbike title before announcing his retirement. The Ducati Panigale V4 S is the most powerful road-legal superbike in the world. With a 1,103 cc V4 engine which puts out 211 bhp of power at 13,000 rpm and 124 Nm of peak torque at 10,000 rpm. We've had a taste of the Panigale V4 S at the Sepang International Circuit in Malaysia, and can say with conviction that it's an utterly powerful superbike, yet easy to handle with all those electronics on board. 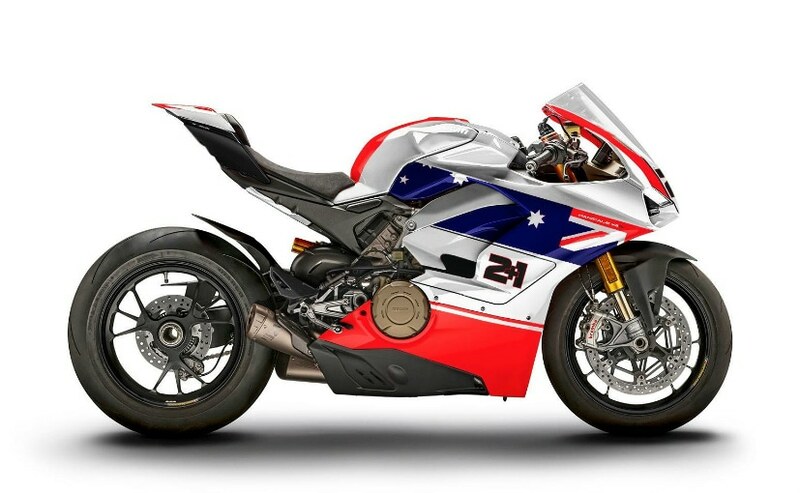 It's easily one of the best superbikes that we've ridden so far, and a limited edition bike with the livery and signature of Troy Bayliss only adds to the charm of a legendary bike.